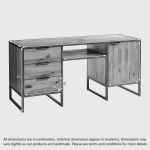 A welcome addition to the modern home office, this stylish industrial computer desk from our Brooklyn range is inspired by loft living. 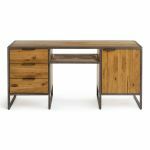 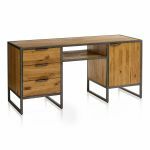 It has an open metal frame with a dark, aged effect that gives it an industrial appeal, which perfectly complements the solid oak body. 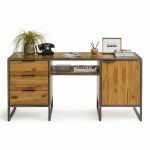 The metal desk has plentiful storage; a central shelf above the knee hole provides an excellent home for books and stationary, one side features three deep storage drawers, and the other has a handy cupboard compartment. 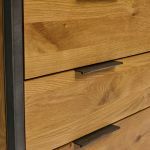 The drawers are finished with beautiful sturdy dovetail joints and the cupboard shelf is made from solid oak to meet our high quality standards. 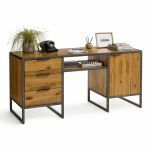 The look is completed with slim metal tab handles to match the frame. 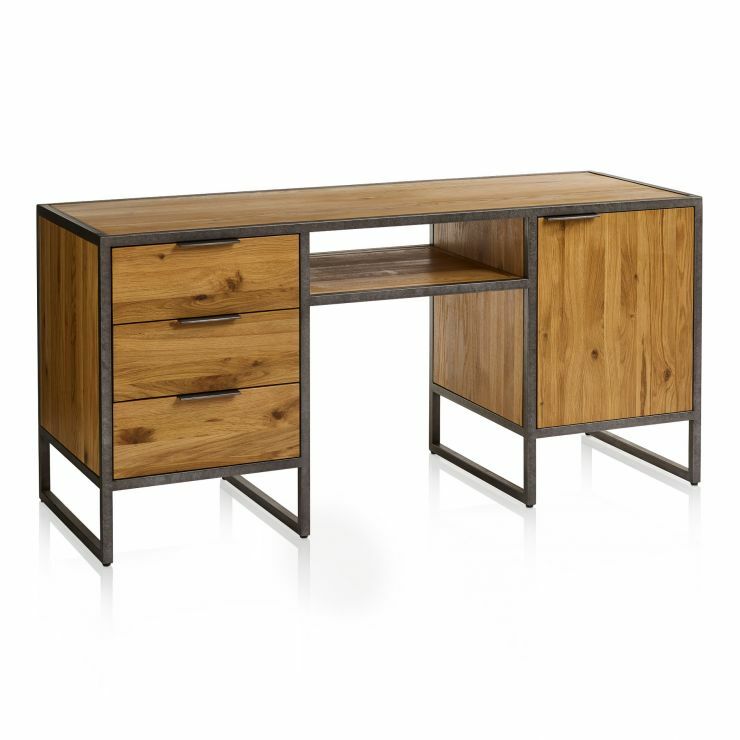 Why not complete the look of your new desk with our coordinating Brooklyn dining chair, too?